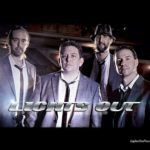 With international acclaim and its storied history, Legends In Concert is known as the pioneer of live tribute shows and possesses the greatest collection of live tribute artists and celebrity look-alikes in the industry. Each universally-renowned performer not only looks and sounds like the star they portray, they transform themselves through hours of practice at their craft. This is accomplished by using their own natural voices and every detail is taken into consideration from choreography, to hair, make-up and mannerisms. 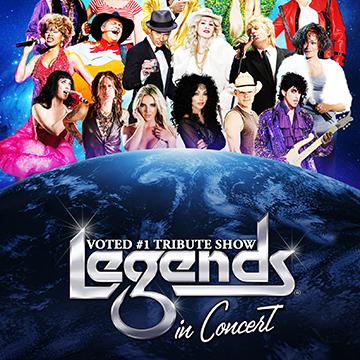 With so many talented live tribute artists, Legends In Concert is the original and largest live celebrity tribute show in the world. 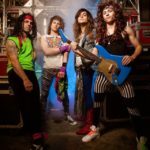 Legends In Concert live tribute shows are known for their elaborate theatrical sets, magnificent costumes and full array of incredible special effects, including three dimensional multimedia and multimillion dollar, state-of-the-art lighting, laser and sound systems. An outstanding cast of accomplished celebrity look-alike and sound-alike performers, talented singers and dancers, and a live orchestra comprised of some the top musicians in the industry, support each Legends In Concert production.